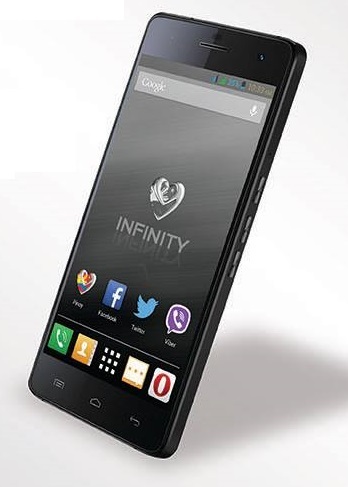 Myphone Agua Infinity is priced at PHP 12,999 in Philippines. The Myphone Agua Infinity comes with some top specifications. The handset is re branded Micromax Canvas Knight A350. Apart from this the handset has 5 inch Full HD IPS Corning Gorilla Glass 2 Protection and 1.7 GHz Oct core Chipset. It houses a 16MP primary shooter and a 8-megapixel secondary shooter. The Agua / Aqua Infinity offers 3G, WiFi, Bluetooth, GPS, micro USB , FM radio and USB OTG connectivity. It has 16GB of ROM and 2Gigs of RAM. Currently it runs on Android 4.2.2 Jelly bean and there is no info on future updates for Android 4.4 Kitkat.